Well, here goes nothing! I am nervously entering the DT race for ColourArte - home of gorgeous products like Silks, Twinkling H20s and Radiant Rain. Who wouldn't want to work with those heh? If you are not familiar with their products then they are well worth investigating! You can find a ton of inspiration and information on the ColourArte blog. 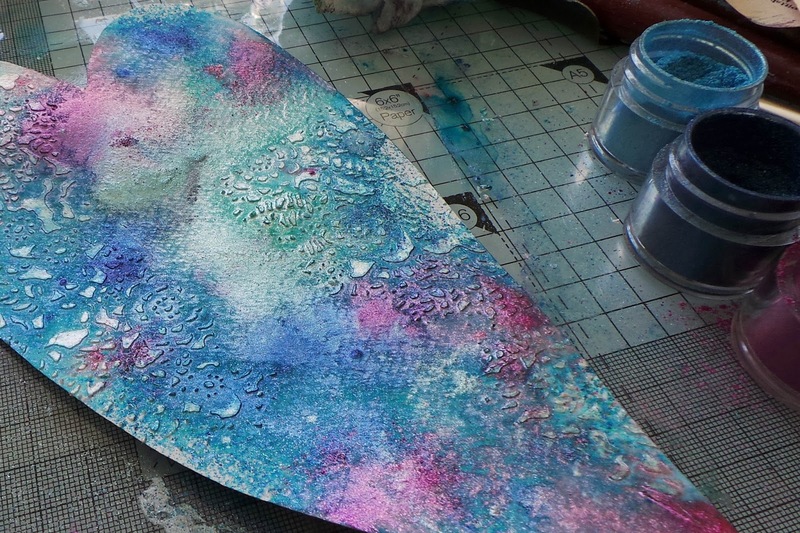 I chose to make a mixed media piece for my submission focusing on a few different ways to use Primary Elements Artist Pigment powders - these are SO concentrated and vibrant - I love them. 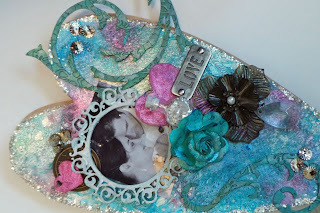 I was obviously feeling romantic when I was creating this as it's very girly for me! 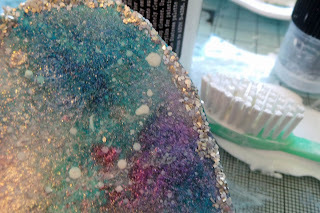 However, although there is plenty of sparkle I've tried to keep it elegant - the effect of mica and natural minerals (as in the Primary Elements) is so much more subtle than glitter I think. 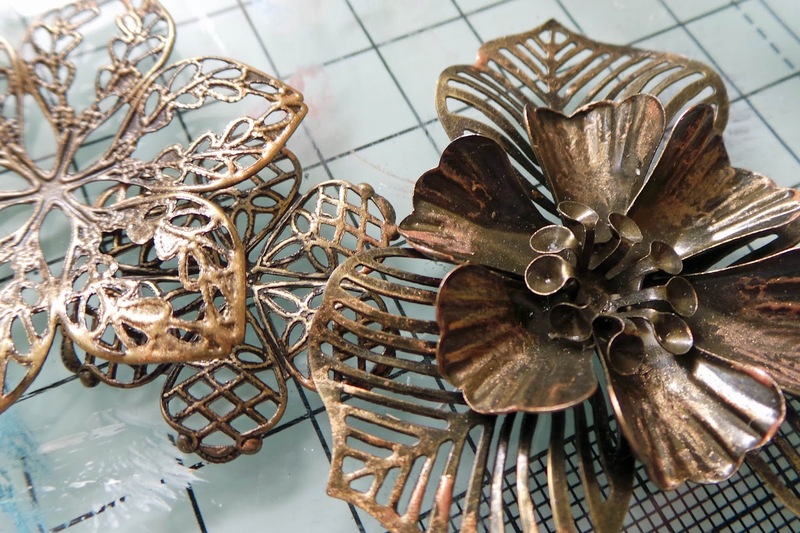 So without further ado it's onto my tutorial - there are lots of elements to my piece so hopefully there's a technique or tip here for everyone to enjoy :). 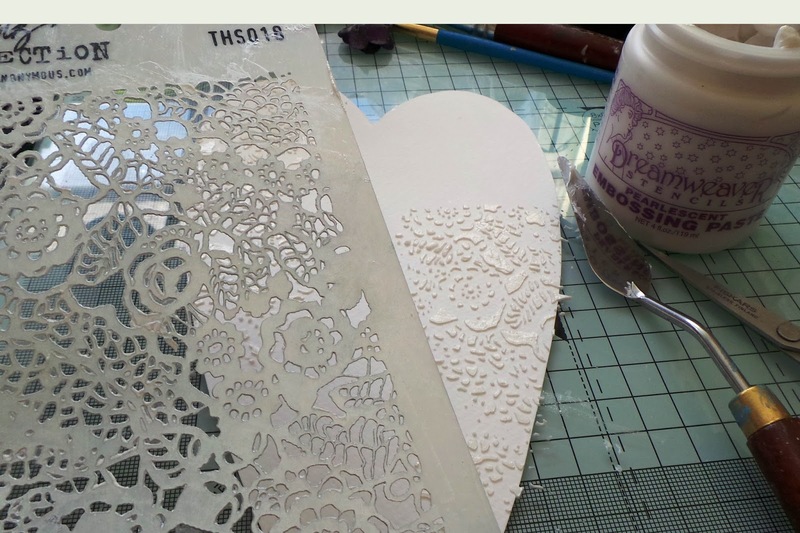 1 Use your substrate to cut a piece of thick watercolour paper to fit. 2 Using pearlescent embossing paste and a stencil. add some texture to the background. Let dry. 3 Get your Primary Elements jars open and ready. Spritz the paper with water. 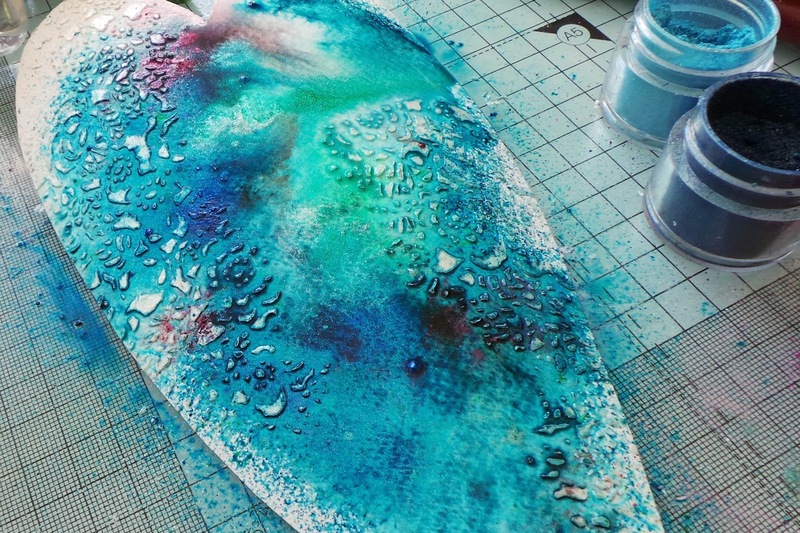 Use a dry, soft paintbrush to flick some of the Summer Breeze colour into the water. 4 Continue adding the other colours in the Primary Elements Beach Glass set with the dry brush. 5 Spritz again with water. 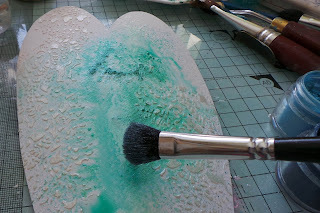 Keep adding small areas of colour and blotting some areas until you are happy with the result. 6 On the finished piece the colours are blended. 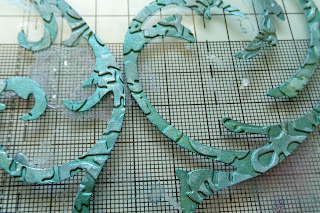 (NB: Primary Elements are not permanent and can rub off, so at this point treat with a spray acrylic sealant). 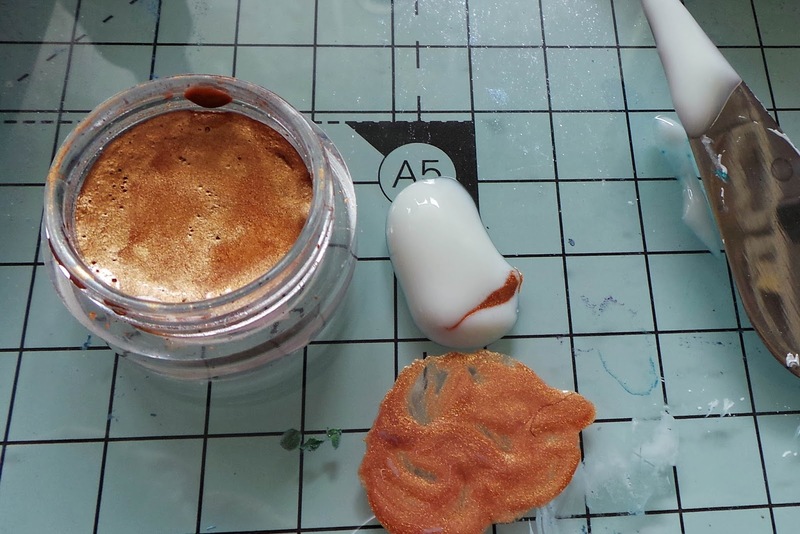 7 Once the sealant is dry, add some splatters of white paint using an old toothbrush. Add mica flakes all around the edge for some vintage sparkle. 8 Mix some Moss Green Silks Acrylic Glaze with a little Meridian Blue Primary Elements to create a teal shade. Paint some die cut swirls then emboss using an embossing folder. 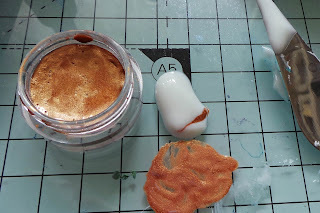 When dry, highlight with Heavenly White Twinkling H20s. 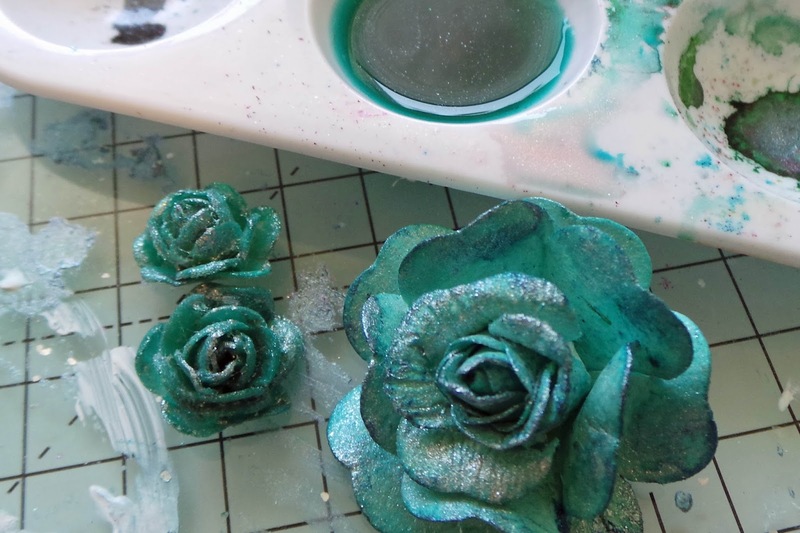 9 Mix Summer Breeze Primary Elements with water and use a large soft brush to colour some plain white flowers (a soft brush helps to push the colour into all the recesses). 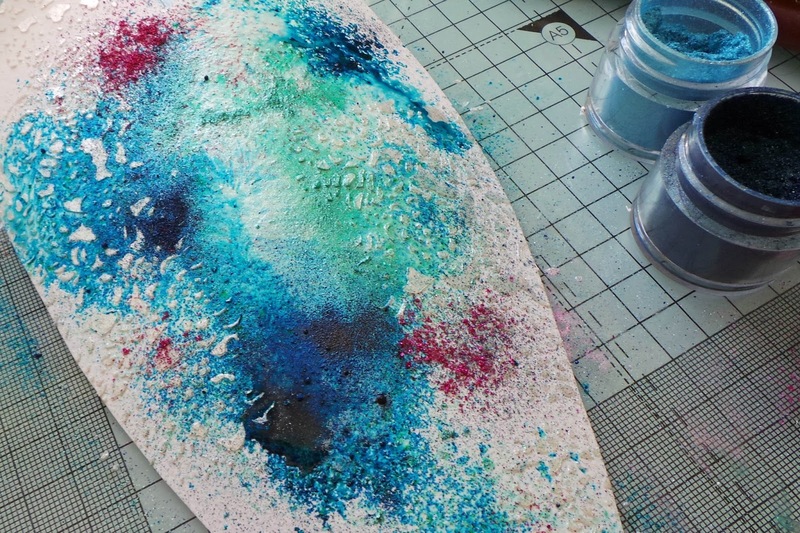 Add touches of Meridian Blue here and there while still wet. Seal the Primary Elements as before. 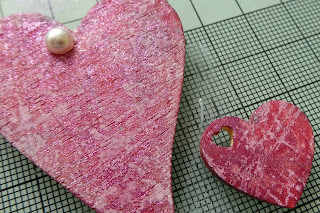 10 As in Step 9 paint two wood hearts with water mixed with Hopeful Honeysuckle Primary Elements, seal, and add some stamping with white paint and a background stamp. 11 Mix some Bronze Medallion Twinkling H20s with a little Gel Medium - this will make the H20s stick to a non-porous substrate. 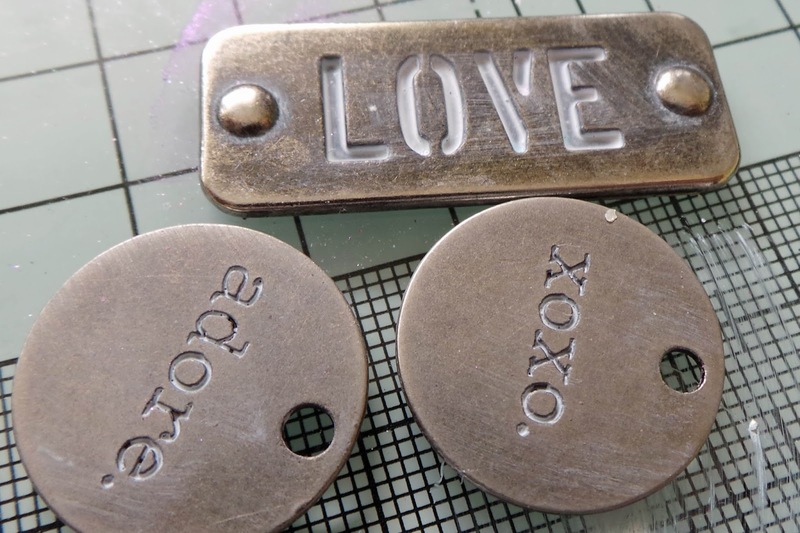 12 Use the H20 mix from Step 11 to add some highlights to the metal elements of the design. 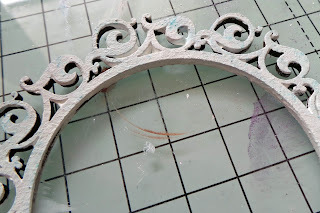 13 Paint a chipboard frame white. My frame has some tiny areas of blue where my brush picked up some stray Primary Elements from the desk (I am SO messy!). I thought it looked cool so I left it like that. 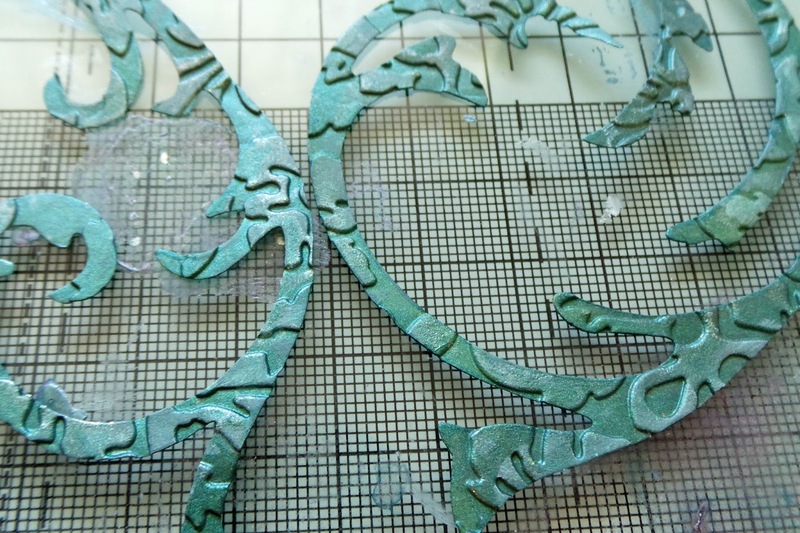 14 Add some white paint to the other metal pieces, working it into the recesses and wiping off the excess paint with a dry cloth. 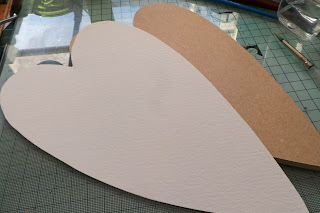 15 Finally, glue your paper heart to the substrate and arrange the elements on your background until you like the layout. Stick with 3D gel glue like Pinflair or a silicone glue. Other than the items in the steps, I also added sequins, pearls and a tiny vial (Idea-ology) full of mica flakes. Finally, a piece of lace ribbon glued to the reverse forms a hanger. Thanks so much for visiting me - wish me lots of luck!!!! 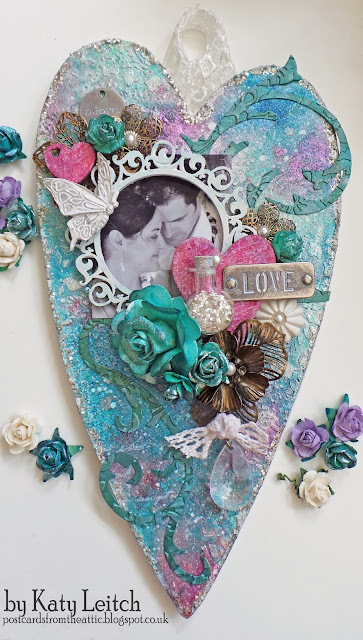 Very pretty piece. Good luck! Beautiful decoration and great tutorial! I didn't know about step 11 - so thanks for that tip in particular! I have lots of ColourArte products and I LOVE their amazing shimmer and sprarkle.